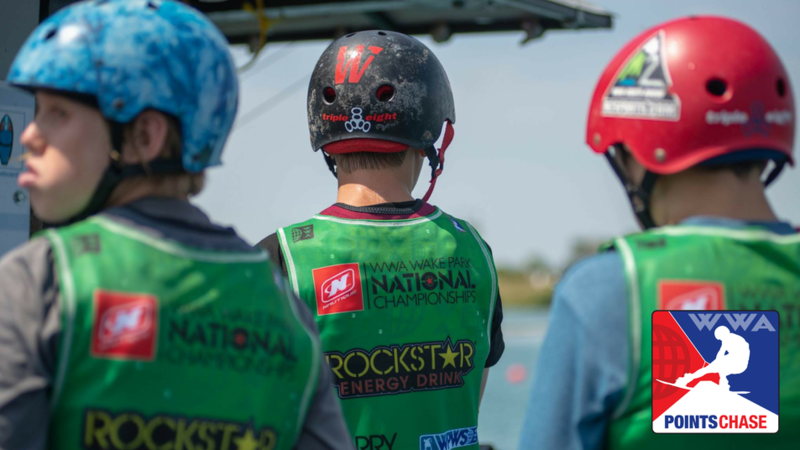 Park Registration for the 2019 WWA Wake Park National Points Chase Series Now Open! 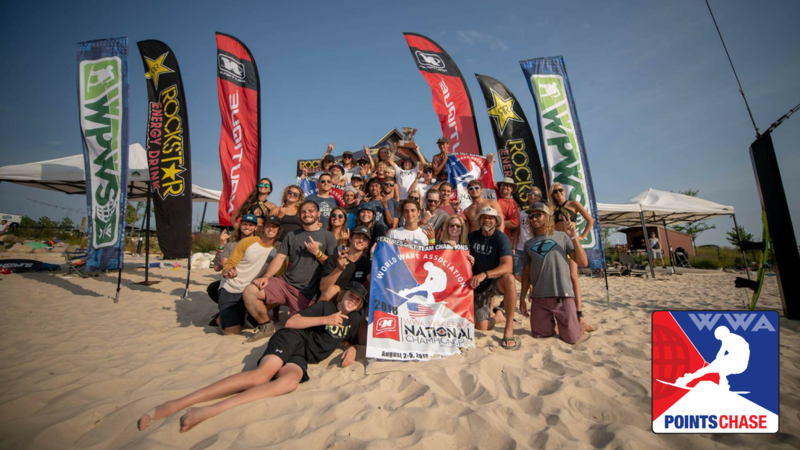 Orlando, FL (January 23, 2019) – The World Wake Association (WWA) announces the return of the WWA Wake Park National Points Chase series (NPC) for the 2019 season. Coming into its tenth season, this popular series features teams comprised of amateurs and pro’s representing wake parks across the nation. 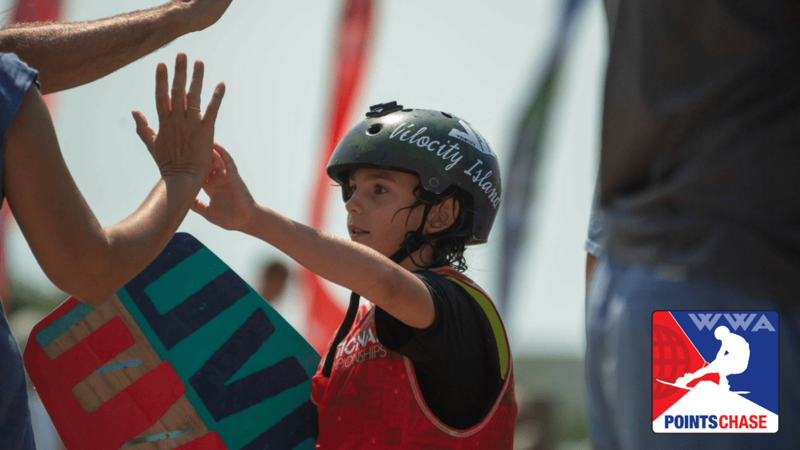 Riders compete in both traditional wake park and features only disciplines at their local park, to build their best team for the Nautique WWA Wake Park National Championships. In 2018 over 25 parks hosted qualifying events including nearly 500 riders nationwide in a fun environment focused on community and rider development. In celebration of the 10th year anniversary of the National Points Chase and in combination of the WWA’s 30th year celebration, parks can expect to receive some extra perks included in the registration fee for 2019. All park registrations will receive one tent with a custom banner at Nationals, one free amateur entry to Worlds, park logo on the National’s t-shirt, and continued support from the WWA’s membership, marketing and event teams. In order to qualify riders for the series, each park will be required to run a minimum of one event prior to the WWA Wake Park National Championships. Results will be due no later than one week after the events. In order to take advantage of all the benefits and the lowest rates, parks must register before February 1, 2019. •	Event Operations help and advice, email support, etc. ADDITIONAL PERKS FOR PARKS HOSTING BOTH SERIES FOR 2019! •	2019 WWA Wake Park National Championships Announcement Coming Soon! •	Entry may be raffled off at your park, given to a rider of choice, etc. •	WWA Wake Park World Championships will be held October 10 – 13, 2019 at the Mayan Water Complex in Playa del Carmen, Mexico. •	Click HERE for Wake Park registration. Parks must register before February 1, 2019 in order to take advantage of all benefits and the lowest rates! •	If your park has not previously participated in the National Points Chase series, please direct your representative to this LINK for all participation information. •	Each park can choose to participate in both traditional and features only series or select just one. *Two tower parks are limited to the “features only” series. •	All rider registrations must be completed at your local park. •	Each participating park will be provided with WWA Wake Park National Points Chase guidelines and standards for judging. Each park will apply all standards to best suit their individual course. Date + Location Announcement Coming Soon!